Rough mustard is made with mustard seeds that have been slightly processed. Some rough mustards are made with cracked, whole mustard seeds. In the United States, mustard is a very popular condiment that accompanies many traditional American dishes. Hot dogs, hamburgers, and soft pretzels are all often enjoyed with mustard. However, the thick yellow paste that can be found in almost any burger joint is not the only kind of mustard in the culinary world. 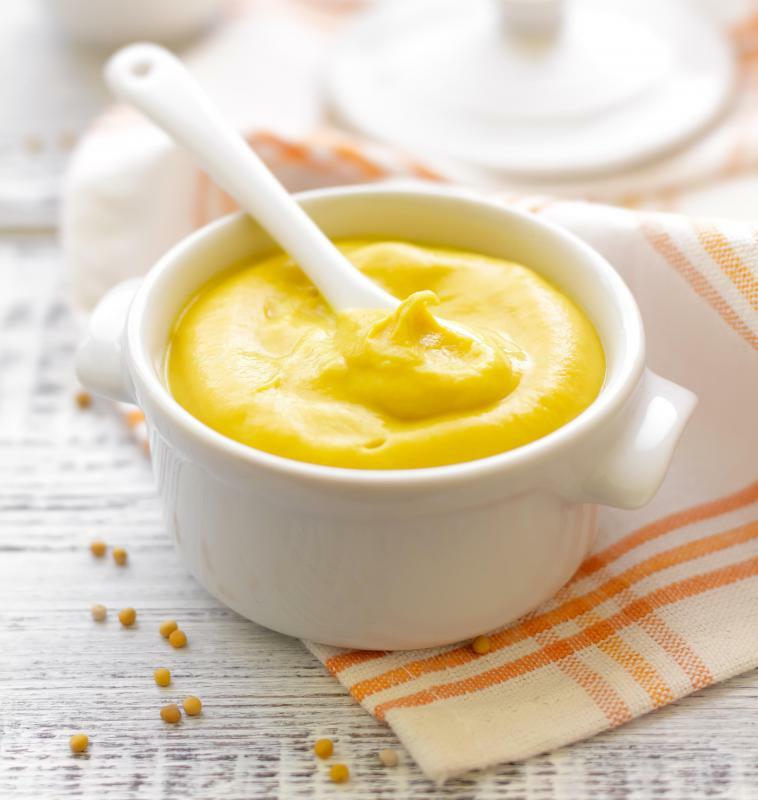 Mustard, has been a part of culinary traditions throughout the world for centuries. Culinary scholars have found that the French used mustard seeds as far back as 800 AD, long before the Heinz company was founded. Mustard is essentially the pulverized seeds of a mustard plant mixed with water, vinegar, and sometimes flour. Each manufacturer uses a slightly different recipe. Some include other spices in addition to the mustard seeds. There are some gourmet mustards that are made sweet by the addition of fruits. Rough mustard is a type of mustard that is made with mustard seeds that have been only slightly processed, leaving the seeds are cracked and broken rather than ground to a powder. Some rough mustards actually include whole mustard seeds. Rough mustard is so named because of the texture that the whole or crushed seeds afford the condiment. In order to make rough mustard, one must mix the seeds in with the other ingredients and then allow the mixture to sit for a while so that the flavor of the mustard can be absorbed by the liquid or liquids in the paste. All mustards vary in their potency. This is especially true for rough mustard. When introduced to the palate, the mustard seed provides a sharp and spicy flavor. 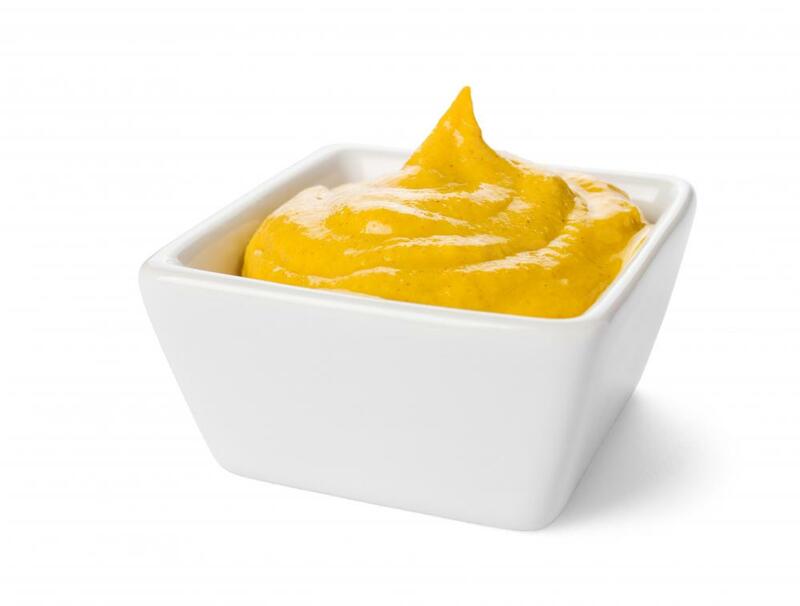 Strong mustard can cause reactions and inflammation in the nasal passages and sinuses. For this reason, some people avoid the condiment. In the right dose, however, this experience can heighten one’s appreciation of the flavor of the sauce and the food that it accompanies. It is best to taste a small amount of mustard before applying it to your food or taking a large bite. Rough mustard is a common French condiment and is often offered with crudités as an appetizer. Furthermore, rough mustard is sometimes added to plates to cheese and crackers. Generally, rough mustard is used exclusively as a condiment. Rough mustard, however, can add some delicious flavor to cooked foods. Baked chicken with a rough mustard rub, for example, makes for a wonderful meal. What are the Medicinal Uses of Brown Mustard? How do I get a Culinary School Scholarship? How do I Make Soft Pretzels? What are the Different Types of Mustard? I am also a fan of rough mustard. It is great for making a ham glaze or when cooking any other game bird. It’s excellent on corned beef sandwiches. I also use it to make vinaigrette for cabbage or spinach salads. You can also mix it with mayo or sour cream to make a great dip for raw veggies! I'm often told that my steak condiment of choice is weird but, I love Horseradish Rough Deli Mustard with steak! Unless you are a real spice lover you have to be delicate with your dipping, but it certainly adds zing!